Gescrap BB registered its first ever Turkish Airlines Top 16 victory by pulling away to beat Unicaja 85-70 at Bilbao Arena. The result lifted Gescrap into a tie for second place in Group F with Real Madrid. Those teams meet next week in the Spanish capital. The game was close for three quarters. Unicaja led 49-50 late in the third quarter, but Bilbao’s outside shooters heated up during a 27-6 charge that extended into the middle of the fourth and decided the game. Kostas Vasiliadis paced the men in black with 19 points, Alex Mumbru added 18, Aaron Jackson scored 14 and Dimitrios Mavroeidis tallied 11 points and 11 rebounds. Joel Freeland, who was not expected to play due to injury, came off the bench to score 18 for Unicaja. 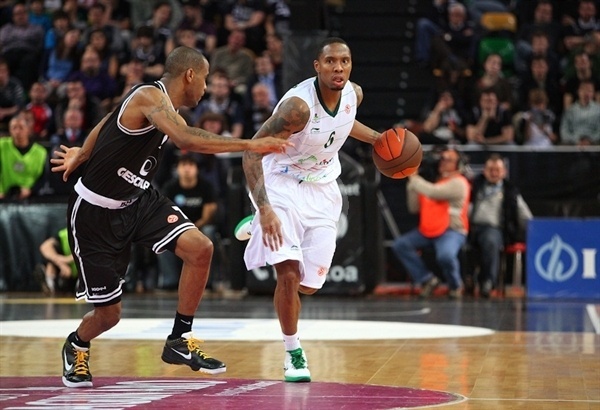 Gerald Fitch added 17 points and Hrvoje Peric 11 for Unicaja, which dropped to 0-2. 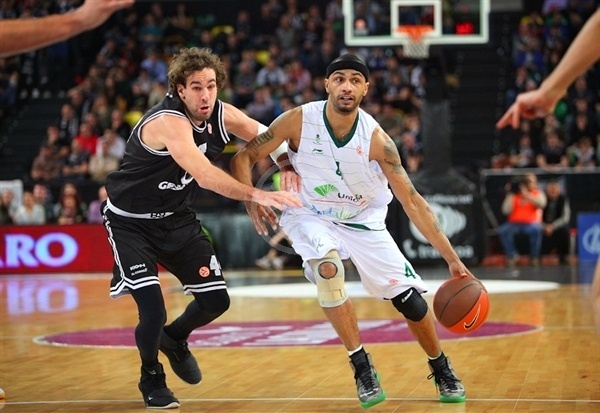 Jackson pulled up for the game’s first points before Fitch drove to get Unicaja on the scoreboard. Fitch drove the lane a second time for a basket-plus-foul before E.J. Rowland lifted the visitors to 2-6. Mumbru fed D’Or Fischer for a slam as the men in black stayed close. 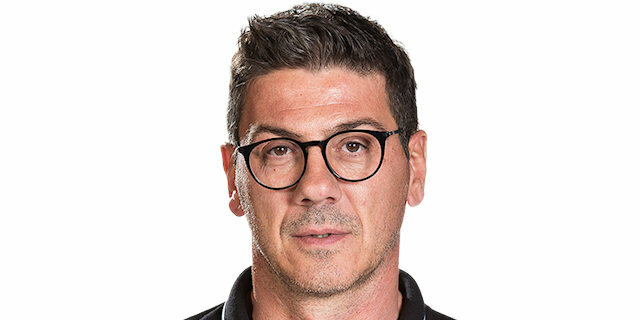 Jorge Garbajosa fired in a three to put Unicaja up 5, but Jackson and Marko Banic made it 10-11 midway through the first quarter. Luka Zoric threw down a big slam, but a second-chance basket by Dimitrios Mavroeidis kept it close. Play was stopped after Fitch was helped off with an apparent knee injury. 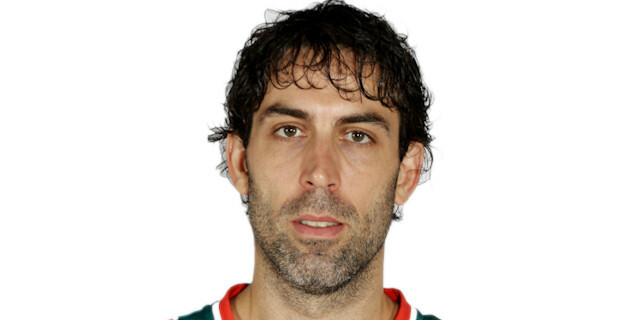 At the other end Vasiliadis ran the break for a three-point play and a 17-15 Bilbao lead. 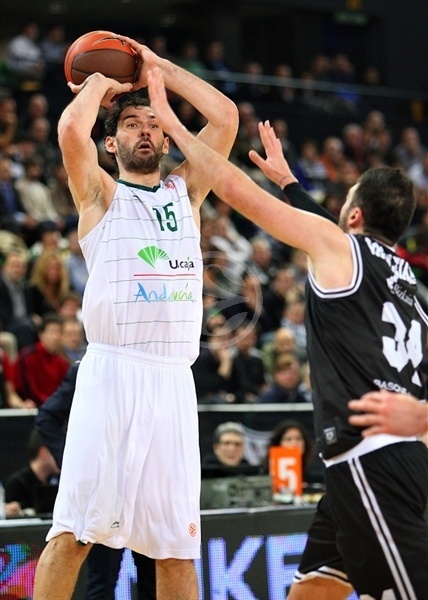 Unicaja was reeling after losing Fitch and Vasiliadis added a long two-pointer. Jackson got to the line with 2.8 seconds left in the quarter and put the hosts up 22-17 after 10 minutes. Peric looked to take charge for Unicaja and Freeland made a long jumper to keep the visitors within 3. Mavroeidis remained an option inside for the hosts as he drew a foul from Zoric to get to the line and then took a dish from Axel Hervelle to extend the lead to 27-21. Fitch, who returned earlier in the quarter, created a highlight with an alley-oop pass to Freeland for a monster slam. After Vasiliadis free throws, Fitch scored, denied Vasiliadis on defense and drew a foul. Freeland then closed the gap to 29-27. Jackson answered quickly only to see Freeland show his health with a big slam. Unicaja broke the Bilbao trap for a Freeland layup and the red-hot big man followed with a turn-around jumper to even things at 34-34. Jackson rose high to tip-in a missed Raul Lopez triple that left Gescrap a 36-34 halftime edge. The action was exciting for the start of the second half. Freeland continued to attack and scored once before Fischer denied him. Rowland’s steal and slam knotted the score at 38-38. Then Freeland put the visitors ahead. Peric lifted Unicaja ahead by 4, but Bilabo stormed back with 7 straight points, tying the game on an Axel Hervelle basket and going ahead on a Mumbru triple. Vasiliadis committed an unsportsmanlike foul on Rowland, who made the free throws before Zoric banked in a basket to put Unicaja mack on top. Jackson was in the right place at the right time to gather a loose ball and score. The lead continued to change hands from basket to basket until a Vasiliadis triple left the hosts up 54-50. Freeland rocked the rim with a monster jam only to see Lopez end the quarter with free throws for a 58-52 Bilbao lead. The hosts got Bilbao Arena rocking quickly when Mumbru and Lopez opened the fourth quarter with back-to-back three-pointers to go ahead by 12. Peric scored for Unicaja, but Banic scored on the break and Hervelle knocked down a three as the lead ballooned to 15 and the locals continued signing. 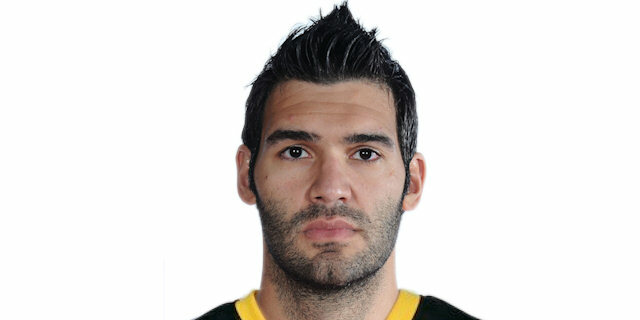 Mavroeidis scored inside to extend Gascrap’s lead to 74-56. Just when it looked over for Unicaja, Fitch scored 7 points in a 0-9 run to restore some hope for the visitors at 76-65 with just under three minutes to play. 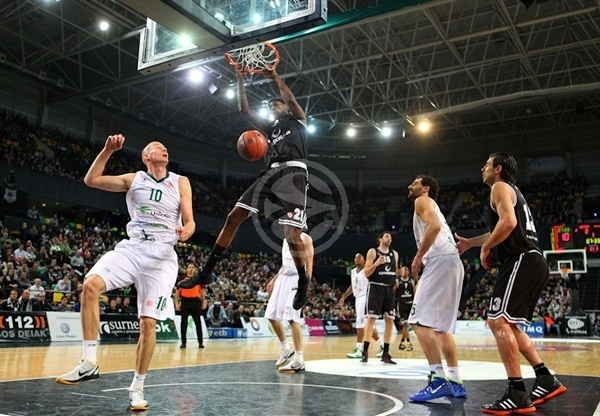 However Bilbao regrouped, slowed the pace and Banic hit a clutch jumper to help ice the win. A Mavroeidis tip-in and a Jackson penetration proved to be cherries on top as the men in black celebrated their first ever Top 16 victory. “The team was patient from the beginning, but we didn’t play the defense we wanted. It took us more time than expected to get into the flow. Also we had no luck sometimes and they made some easy baskets. We played more aggressive defense in the third quarter and made more vertical attacks. We finally made the three-point shots. I am proud of the team. 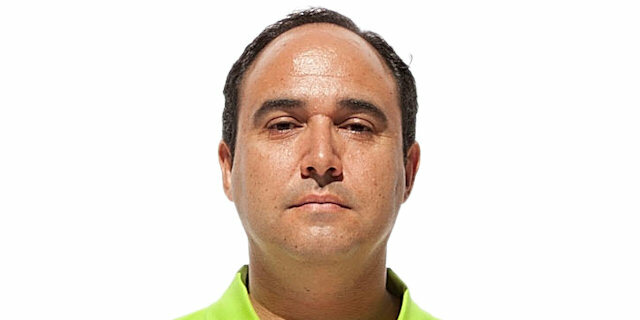 Winning in Top16 with 15 points – it’s awesome." “We came from losing in Siena but we knew we could win here today. We played hard from the beginning but we played even harder after the halftime so we could get this win. Physically, we were great and we played intensely. We are on a great level and Unicaja couldn’t fight against back. I think we can make it to the next Euroleague round if we win our home games. This is so important for the team, we are working hard every day for this."